Angove Family Winemakers is a fifth generation South Australian family business with a passion for crafting iconic and single vineyard wines from McLaren Vale as well as a selection of premium wines from some of South Australia’s great wine growing regions. In addition we produce a range of fortified wines and suite of Brandy under the St Agnes brand. With more than 125 years of experience making, marketing, selling and distributing wine and spirits nationally and internationally, our winemaking story begins in 1886 when Dr William Thomas Angove, a doctor from Cornwall immigrated to South Australia with his family. (from left Richard Angove (Direct Sales & Global Brand Manager), John Angove (Managing Director), Victoria Angove (Executive Director). 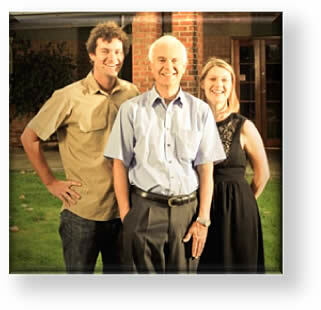 Dr Angove established a medical practice in Tea Tree Gully, South Australia. Not long after, Dr Angove began experimenting with vines and winemaking, initially as a tonic for his patients, he established his own vineyards in Tea Tree Gully and by 1892 had 10 acres in production. His wines were produced in the historic ‘Brightlands’ Cellars. We have grown a lot of vines and produced a lot of wine and brandy since those days. We have three vineyards, the 500 hectare Nanya Vineyard at Paringa, the 30 hectare Anchorage Vineyard at Renmark and our premium ‘old vine’ McLaren Vale vineyard. Our premium micro-winery, developed over the past 8 years, contains 2 and 5 tonne open fermenters, 8 tonne bag press and is the processing area for premium cool climate fruit destined for our premium wine brands including Medhyk and Warboys. 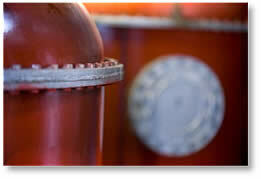 Our commercial winery, distillery and brandy bond which were established in 1911. The winery has 20,000t crushing capacity and 20 million litres tank storage capacity, plus a number of climate controlled barrel storage sheds. The distillery produces approx. 300,000LAA of brandy spirit annually. 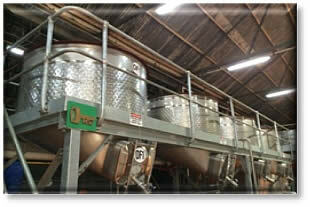 Our bottling and warehouse facility, offers quality bottling operations for Angove product and for customer bottling. The warehouse includes climate controlled storage. 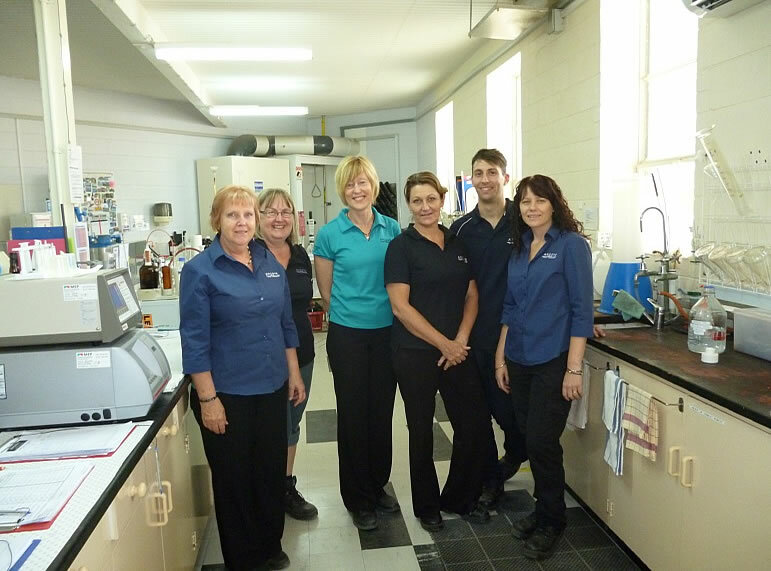 Our laboratory team support the production activities across two laboratories. The Bottling laboratory involves quality control and micro analysis, whilst the main laboratory incorporates a range of analyses including wet chemistry, NIR, FTIR, enzymatic and spectrometry. Our maintenance team provides support to our production and vineyard activities. The team undertake a range of mechanical and electrical repairs, custom building of a range of structures, plant or equipment and are available on call for vintage breakdowns. 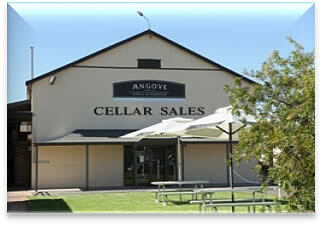 Our local Cellar Door showcases the whole range of Angove products, local produce, art and craft. Our cellar door is available for private functions. 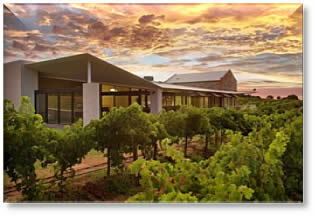 Added to this is our exceptional Cellar Door / Function Centre nestled in the vines of our McLaren Vale vineyard. The western end of the building is traditional old Adelaide bluestone and is a replica of the original ‘Brightlands’ cellar where Dr Angove made his first wines. 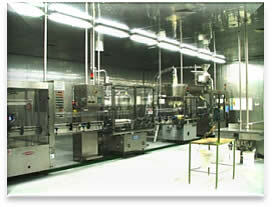 Currently the company employs 168 staff, which increases during vintage to approximately 195 staff. 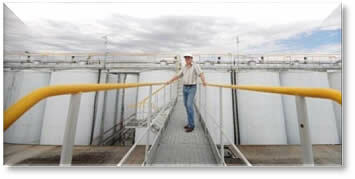 The laboratory is comprised of a dynamic team of 6. At the helm are Jill Huckel-Hicks and Kaye Leyson with a backbone of Glenys Alpen, Anne Haines, Jason Klingbiel and Cindy McDonald. A great team!